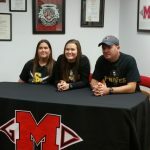 Girls Junior Varsity Softball, Girls Varsity Softball · Jun 1 Kelsey Stewart Signs!!! Congratulations to Kelsey Stewart! 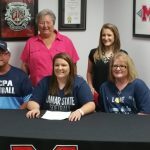 She has signed to play softball in the fall at Lamar State College at Port Arthur. Good Luck and Great Job, Kelsey!! 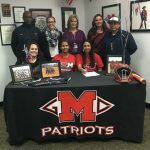 Girls Junior Varsity Softball, Girls Varsity Softball · Jan 19 Emily Gomez Signs!! Girls Junior Varsity Softball, Girls Varsity Softball · Jan 15 Tiffany West Signs!! !